NEW DELHI: Government think-tank Niti Aayog wants the Railways to prepare a plan similar to Pradhan Mantri Gramin Sadak Yojana (PMGSY) and National Highways Development Programme (NHDP) to link districts which are not on rail map. "We need schemes like NHDP, PMGSY in Railways also. Even today, some parts of North East and Odisha are not connected by rail network," a senior government official said. "Niti Aayog will be suggesting to Railways to come up with a project report on the lines of PMGSY and NHDP. We would like to make this a national priority. All the districts of India should be on railway map," he added. 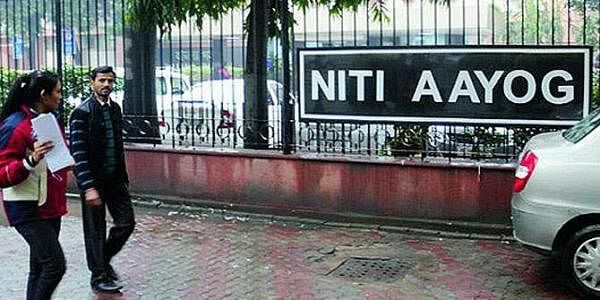 The official said that the Niti Aayog is in favour of segregating the tasks of laying railway tracks and connecting districts which are not on the rail map as an entirely different programme outside the current allocations. The official also suggested that the Railways should work on increasing passenger traffic and compete with airlines to offer comfortable journeys to high value passengers at competitive rates. He said that the railways' passenger growth has remained stagnant which doesn't augur well for the organisation. PMGSY was envisaged during the Atal Bihari Vajpayee-led NDA government in 2000. NHDP, on the other hand, is the Road Ministry's flagship road building programme. Terming railways, roads and rivers as the "lifeline" of the country, Finance Minister Arun Jaitley, while presenting the Budget, had said, "Total allocation for infrastructure stands at a record level of Rs 3,96,135 crore in 2017-18."